I woke up at 5am, and after 4 hours of sleep I went to work because I only took a half day off. Once I got home, I started to pack my bags and prepare myself for the journey to DreamHack. We arrived just in time @ Eindhoven and loaded the bus trailer with all our gear. Then we took off and tried to enjoy every minute possible. Even though bus driving is boring. The goodies we received from Intel Pack4DreamHack were amazing and I was proud to wear its zip hoodie for the entire event. After a couple of stops we finally arrived in time at Jönköping, Sweden. We were one of the firsts to arrive at the biggest digital festival in the world. Unpacking our gear and finally start doing what we came for: gaming and the unexpected. 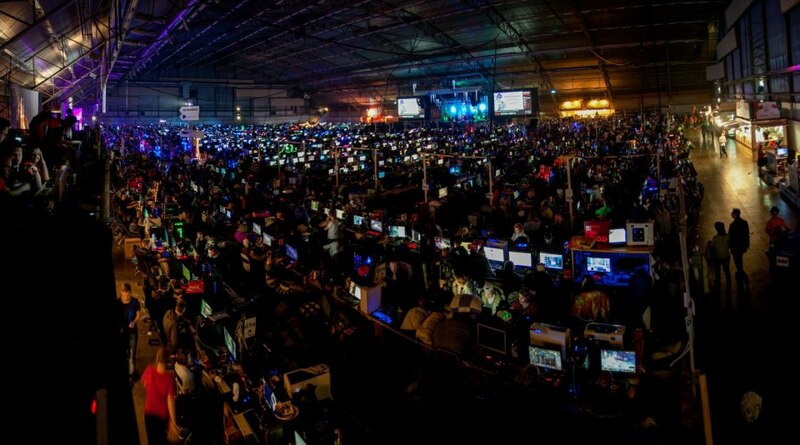 DreamHack is not just a Lanparty that you visit to play games with friends. It’s also an expo for new games and very important tournaments with tremendously high prizes. Even for the people that don’t do official competitions there is more than plenty free stuff to get. Even big prizes if you’re lucky. It was and still is a fact that the most beautiful women come from Sweden. Unfortunately the majority are minors. But hey, there is no problem with looking. And there were plenty of them to look at. Even the average here are good looking. After lots and lots of shouting and overusing the sound of my voice I eventually lost it. All I can do now is make some squeak and make air movements. The overall food was delicious and a pleasure to pick up. Although Swedish people aren’t the most hardest workers. Rather slow actually. Fortunately I was in a holiday mood, so it didn’t bother me much. Swedish fashion is something worth to mention as well. They dress up weird, that’s all there is to it. One piece suits? Funny to see. I’ve also enjoyed the internet connection here. It’s just as fast or faster compared to Belgium internet. Making it feel like home. From Wednesday to now I’ve had roughly 12 hours worth of sleep. When I finish this blog I will start packing again to return home. Let us all hope I’ve been awake long enough to sleep for the entire trip so I’ll be home in seconds! Thank you Intel Pack4DreamHack for making this more than awesome trip possible! I’ve had a Lan experience that I’ll never forget and I hope to experience it every year more than once from now on.